It might be in the movie theater or as your buddy starts his back swing, but not in Sales. I get the whole “Don’t be the first to speak ” thing in Sales when trying to close a deal- it’s pretty 80’s but that kind of silence has it’s place I guess. But more often than not, silence from a customer in Sales means either they don’t care or they are confused. I’ve written plenty about the don’t care silence problem but confusion makes people quiet too you know. I heard silence from a customer named Kelly last week. I was listening in as she called about a service offering. Dead silence……………….. as the sales rep shared the values of the service………. till she finally said, “I have no idea what “_______” means”. It was a critical piece. She breathed a sigh and chuckled. She was embarrassed. 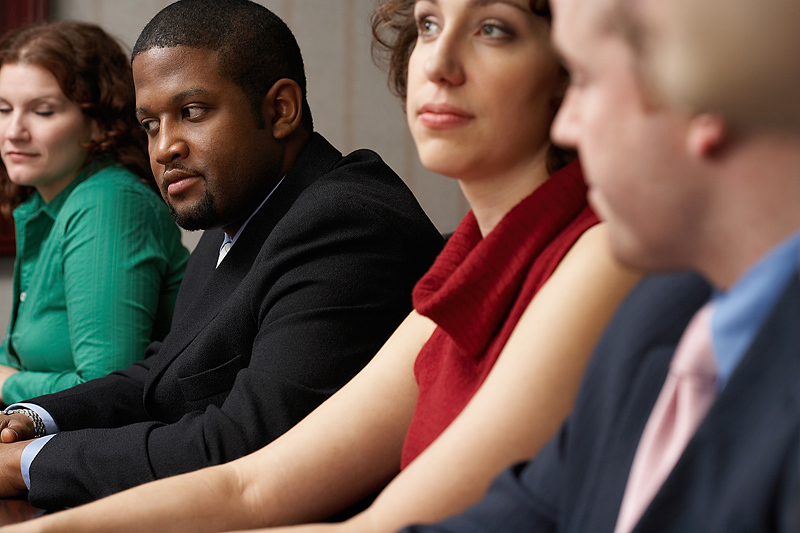 Have you ever been in a meeting and no one says a word? It’s not always because people don’t care. Silence happens when smart people get lost in a sea of unfamiliar acronyms or in stories of experiences that just aren’t making sense for the discussion. Did you ever clam up in an electronics department not because you didn’t want the product but because the sales rep wasn’t making sense to you and so you just stopped talking and muttered “all set” and walked away? You must know your audience. You must know the relative complexity of your products. Kelly was a small business owner; a prideful person with a fairly large ego. Confusion can make people feel dumb. Confusion can make people tense, even angry. And most critically, Confusion can stop the talking and the sales process cold. 2 ways to avoid the Confusion Silence. 1.) When it is 1 to 1: When it is just you and he/ she over the phone or face to face; (i.e. nobody else around) – you can ask a simple question before you begin to converse, sell or service. “To make this most helpful for you, could I ask if you would consider yourself very knowledgeable with _______ , somewhat knowledge, or not that familiar with ___________?” This gets that answer without embarrassment. This respects that just because you live and breathe your job’s products and processes everyday- most of your clients and prospects don’t – and are starting from a different place than you. 2.) In a meeting with more than 1 person: When the room goes quiet and you start to think nobody cares, stop and wonder “are people just confused?” You could ask that question out loud (like everyone else ridiculously does) and get of course, no response (not many folks want to shout out “I don’t get it!” in front of others) or you can inject this phrase “At this point, some folks often ask about _________ “ or “Sometimes people ask me ________________about this” and then look around the room. If you get sudden eye contact from some or head nods, you know you’ve got confusion silence happening and you need to delve differently.